But the “Green New Deal” is neither “green” or “new.” The environmental Left has been using green scares to push for the same solutions we see today — wealth redistribution, central planning, sovereignty limiting treaties — since the overpopulation scars of the 1960s and 1970s. They will say, “We need a global solution; we need global governance; we need wealth redistribution; we need sovereignty threatening treaty, or some kind of economic activity limiting.” No matter what environmental scare in the past that they tried to scare people with, it was the same solutions they’re proposing now. 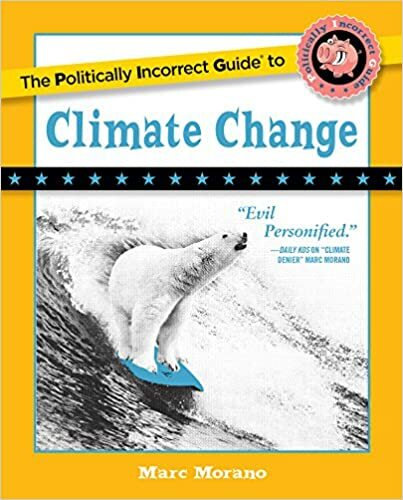 In the book, I go back and show over and over that global warming is merely the latest scare they’re using to get their agenda. I show Naomi Klein, who’s an adviser to Pope Francis, who wrote “Capitalism vs. the Climate.” I interviewed her for the book. She actually says that they would be seeking the same solutions even if there was no global warming and that essentially, capitalism is incompatible with a livable climate. 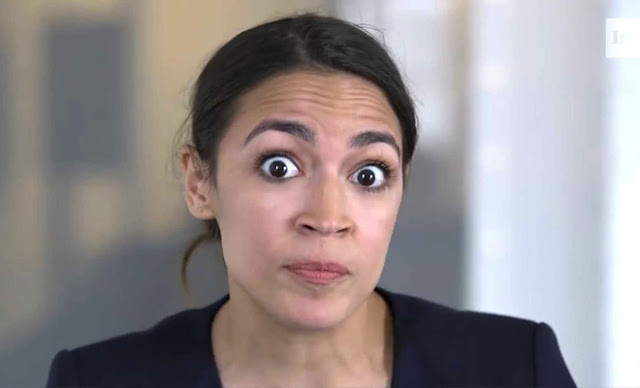 She actually urges people, “We need to jump on this because solving global warming will solve what we’ve been trying to achieve all along.” They’re open about it. 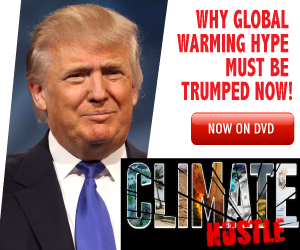 They use the climate scare tactics to achieve their ends. And in order to get those ends achieved, they have to hype and scare. It’s been a very effective strategy because they’ve bullied Republican politicians, who should know better, into at least submissiveness and silence and/or activism, when you come to the case with John McCain and even Mitt Romney.” End Morano excerpt. The 10 Most Insane Requirements Of The Green New Deal -The Green New Deal isn’t just un-America, it’s also completely bonkers. ‘GREEN NEW DEAL’ LOOKS TO TACKLE THE SCOURGE OF ‘FARTING COWS’ – Democratic New York Rep. Alexandria Ocasio-Cortez’s newly-released “Green New Deal” resolution has gotten a lot of attention for its 100 percent renewable energy goal, but the bill also vaguely references another source of emissions. The resolution calls for a World War II-style mobilization effort to eliminate greenhouse gas emissions from agricultural operations. If that’s the case, that means any subsequent “Green New Deal” legislation would have to deal with a major source of methane emissions — cow flatulence. “We set a goal to get to net-zero, rather than zero emissions, in 10 years because we aren’t sure that we’ll be able to fully get rid of farting cows and airplanes that fast,” reads the initial version of the resolution’s fact-sheet. However, Ocasio-Cortez staffers have since removed “farting” from fact-sheet. Methane makes up 10 percent of U.S. greenhouse gas emissions that scientists blame for global warming. Enteric fermentation, the digestive process in cows and other ruminant animals, is the largest source of U.S. methane emissions, according to Environmental Protection Agency (EPA) data. EPA says “cattle account for the majority of [methane] emissions in the United States for this source category,” referring to emissions from enteric fermentation. 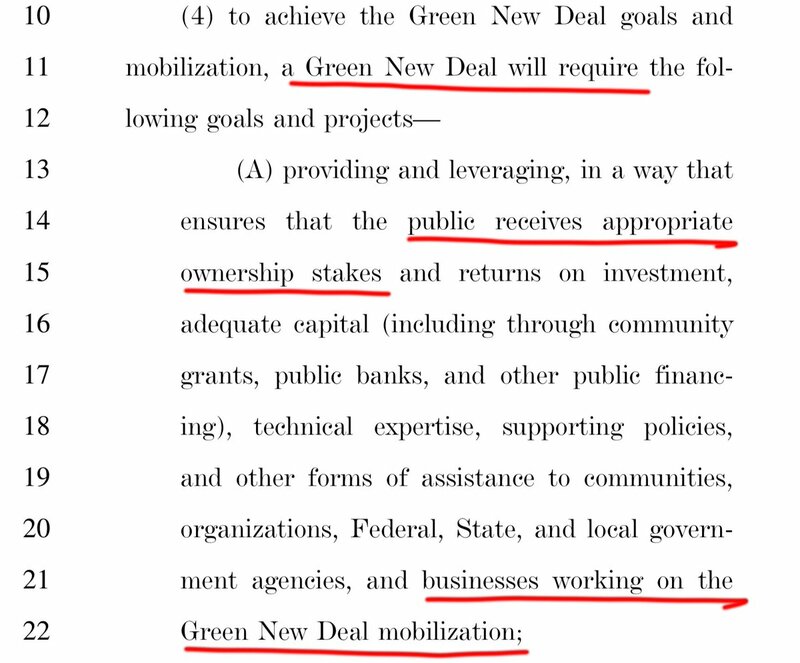 (RELATED: Alexandria Ocasio-Cortez: ‘Green New Deal Is About Social Justice’) Being a non-binding resolution, the “Green New Deal” doesn’t offer any specifics on how livestock emissions would be phased down or eliminated. The question then becomes: How do you eliminate emissions from cows, sheep and other animals? Morano: ‘Global warming’ is merely the latest environmental scare with the same centralized ‘solutions’ – “Since the 1960s, the environmental left has had the same solutions regardless of the current environmental scare of the day,” Marc Morano, publisher of the Climate Depot website, a former Republican political aide, and author of The Politically Incorrect Guide to Climate Change said. “The solution is global governance, central planning, wealth redistribution, and loss of national sovereignty to international bodies. They started this in the late 1960s chiefly with overpopulation — the Paul Ehrlich [author of The Population Bomb] scare, resource scarcity, and other environmental concerns at the time, and always the same solution.” Global warming is merely the latest environmental scare with the same solution, Morano says. JunkScience’s Steve Milloy: 1. The entire economy would operate under the Green New Deal. 2. The government would have ‘appropriate ownership stakes’ in ALL Green New Deal businesses.